The rhyton form was brought to Greece from Persia where it had served as an ancient trophy or victory cup. 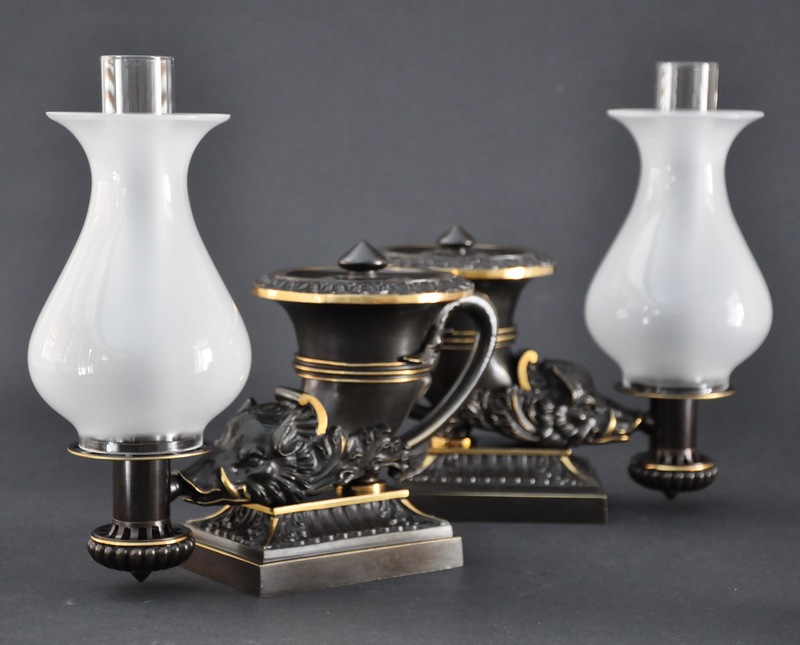 Presented in a patinated finish with gilt highlights, these fine lamps are ornamented with boars’ heads and rest on fluted plinths. Each is stamped underneath the lamp with the maker’s name: MESSENGER / PHIPSON.